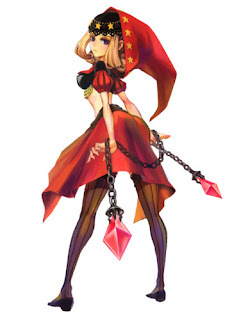 Planet Hell: Odin Sphere, nearing the endgame now. It's pretty difficult...I had to do fight 2 bosses at a time but strangely I got through that and I'm on the final area now. I tried a few stages and then went back to up my HP level as much as I could before I make my way through. The story in this game is really gripping at times...it steals hours of my day at a time. I really like the way the stories have overlapped and we see things from each character's perspective. They each have different motives, feelings and loyalties. Even though I am basically going through the same stages I have been through 4 or 5 times, it still keeps me interested as the story is different each time and the script is so well done. The game is so shiny and gorgeously drawn. The backgrounds are just amazing...actually everything about the game, the backgrounds, the characters, the enemies-graphically the game is incredible. I'm about 55 or 60 hours into the game(I can't remember) and getting very close to completion. I might write more about it after I beat it, maybe a review or something. I'll most likely be getting Muramasa from what I've seen of it though! Sorry to not be about your blog, but I was just wondering why when I logged into the RPGamer forums, my profile had your info and a link to your blog?! 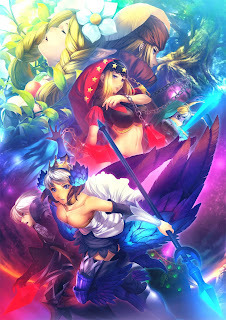 The staff and admins said it wasn't my fault and was something to do with their forum software, and they are in the process of changing boards or something because things like this had happened before, with avatars getting somehow changed to a Star Ocean IV image for lots of the members. Ah ok, thought there'd be some explanation. Thought I'd done it by quoting one of your posts. Thanks for the info! The endgame is TOUGH! (At least it was for me) I had to go back and grind a bit before I could finish. The ending gives me goosebumps just thinking about it; I like it so much. Enjoy.